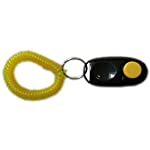 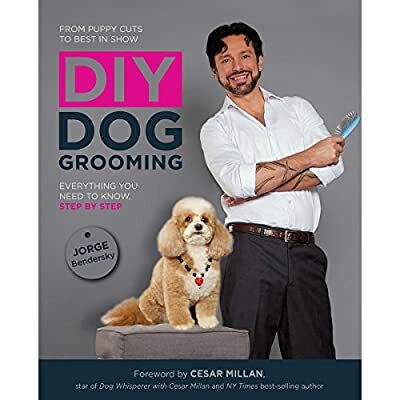 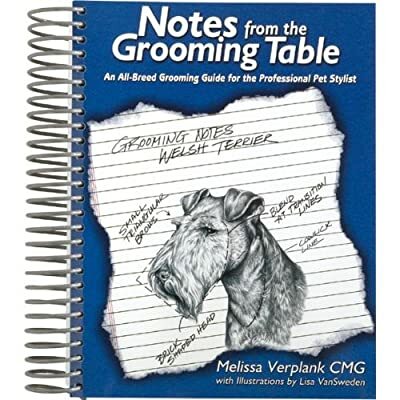 COMPACT SIZE, EASY TO CARRY: the size of this dog training clicker is 2.48″ x 1.22″ x 0.70″; Weight is 0.52 oz, that you can carry it with you wherever you go, and with wrist strap to wear it on. 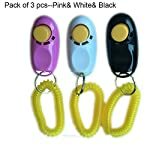 PACK OF 3PCS: that buy 1 that you’ll get 3pcs clickers with different colors, red&blue& green or pink& white& black. 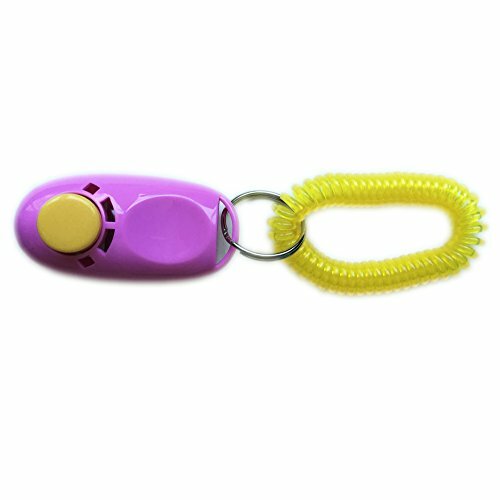 SCIENTIFIC TRAINING METHOD: by pressing the big button, this clicker will have the clear sound, this is the pleasure way to communicate with pets according to science records. 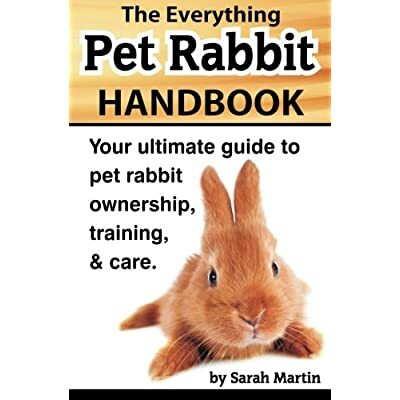 Scientific method of training your pet safely and easily. 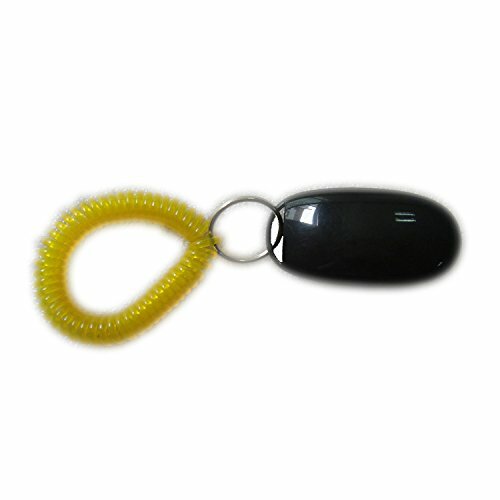 – Materials: ABS; 2.48″ x 1.22″ x 0.70″; Weight is 0.52 oz. – By press this clicker to make distinct and recognizable sounds to bring a brand spanking new pleasure communication mode with the pets, to get your dogs attention and grow to be a familiar indicator of a job well done..
– The clicker training can train the dog house-trained, basic obedience, like defecation on time, search target, shake, upright, roll, small trick, ect, and correct the bad behaviors. 3 Pcs Clicker Button in one pack: red& blue& green or Pink& white& black. We promise to offer good quality products to make you satisfied. 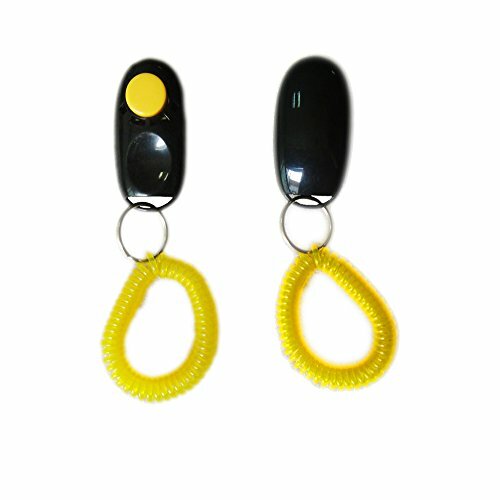 We make every effort to provide quality products and services. 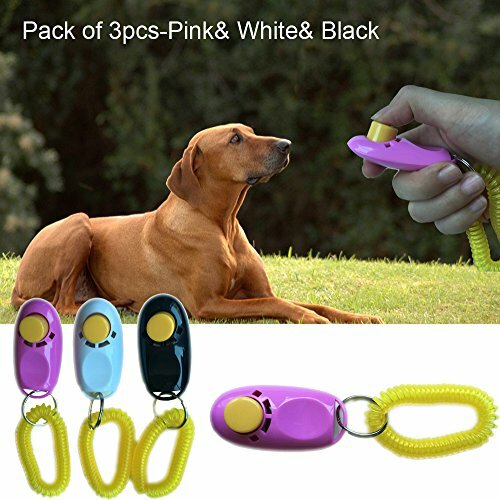 Please contact our customer service if there’s any question. 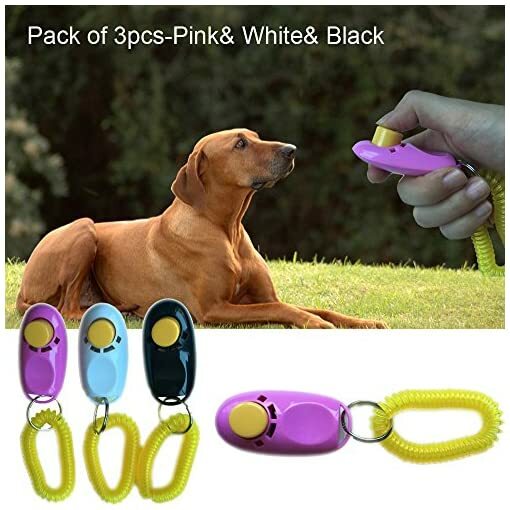 If any not satisfied, Please do not be disturbed, return of goods is 100% guaranteed. PACK OF 3PCS: that buy 1 that you can get 3pcs clickers with different colors, red&blue& green or pink& white& black. 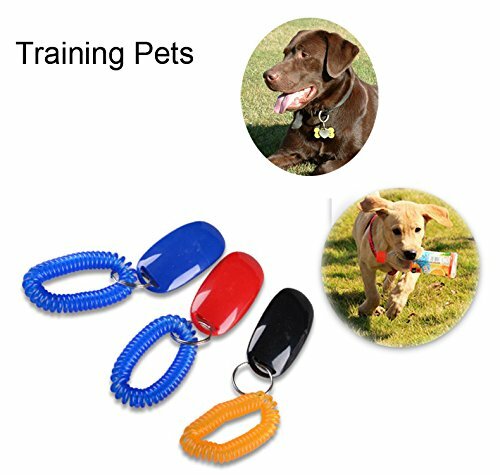 MULTIFUNCTION: Can be utilized to train the dog basic obedience, like small trick, and correct the bad behavior; and also can train the cats, birds, chickens, sheep and even mice. 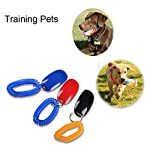 Will have to-have training tool for sound-sensitive pets. 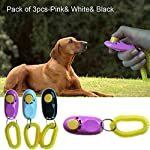 LOW RISK CONSUMER: if you are not satisfied with this training clicker with your pets, please feel free to contact us for money back, we’re going to reply you within 24 hours.